Current market reports indicate that private equity firm Permira Advisers is aiming to sell its majority stake in Hugo Boss and re-opening talks to invest in Roberto Cavalli. What lessons can private equity firms learn from the company’s last major fashion investment? Over the weekend, Bloomberg reported that private equity firm Permira Advisers LLP was considering selling its 56 percent stake in German menswear giant Hugo Boss. Simultaneously, the firm is said to be re-opening talks to acquire a stake in the Italian fashion label Roberto Cavalli after dropping out of negotiations earlier in the year. Permira acquired Hugo Boss as part of its last high-profile fashion investment. In 2007, in what was, at the time, the largest-ever leveraged buyout in the luxury fashion industry, the firm took a 29.9 percent stake in Valentino Fashion Group (VFG) and Hugo Boss (in which the Italian fashion group had majority ownership) for €2.6 billion (about $3.5 billion). But despite the fanfare which accompanied the transaction, the deal was troubled from the beginning. Valentino’s founders, Valentino Garavani and his business partner Giancarlo Giammetti, retired from the brand shortly afterwards, expressing their dismay at where Permira was taking the business. Succession planning was poor. Designer Alessandra Facchinetti was appointed the brand’s new creative director, but two seasons into the job, she was dismissed. The lack of consistent creative leadership, combined with the global financial crisis, drove Valentino’s revenues down by 9 percent to around €232 million (about $311 million) and profit dropped into the red. Permira was forced to renegotiate the terms of Valentino’s bank loans and reportedly wrote down the value of its investment by more than 50 percent. The appointment of co-creative directors Maria Grazia Chiuri and Pierpaolo Piccioli, who, for many years, had worked alongside Mr Valentino in the brand’s accessories department, helped the brand to recover, in conjunction with the efforts of longstanding chief executive Stefano Sassi. Then, in July 2012, Permira found a surprise buyer for Valentino: Mayhoola For Investments, thought to be under the control of Sheikha Mozah bint Nasser Al Missned, a wife of Sheikh Hamad bin Khalifa Al Thani, the former Qatari emir. The Qatari investment vehicle paid an alleged €700 million (about $940 million) for the brand. After a stormy five years, Permira’s exit was fortuitous — even lucky. In the ensuing years, Valentino has thrived under an investor with a longer view, catapulted back to the forefront of fashion and begun to roll out a global retail plan. For 2013, operating profit rose an impressive 240 percent to €36 million (about $48 million). Meanwhile, Hugo Boss has hummed along steadily. Chief executive Claus-Dietrich Lahrs, formerly the managing director of Christian Dior Couture, was hired in 2008 to streamline operations and oversee the brand’s growing presence in China. During his tenure, Lahrs has focused on direct retail sales, the “growth engine” of the company. 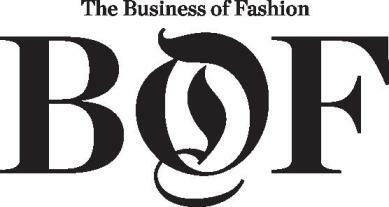 As of March 2014, Boss operated more than 1,000 own-brand stores, including an online store and concessions. Lahrs’ team has also worked to elevate the brand and its positioning at department stores. Share prices of Hugo Boss, traded on Germany’s DAX exchange, have grown more than five-fold under Lahrs’ leadership, buoyed by consistently high growth in earnings and revenue. The group is now on track to hit its target of €3 billion in total revenue by 2015. Jason Wu, the Taiwanese-American designer who shot to fame after designing American First Lady Michelle Obama’s inauguration gowns, was also appointed artistic director in 2013 to strengthen Hugo Boss’ traditionally weak womenswear offering. So with Permira reportedly poised to sell the high-performing Hugo Boss — said to be worth about €4.2 billion — and buy into Roberto Cavalli, what lessons can private equity firms targeting fashion industry investments learn from the Valentino adventure? Permira’s first mistake was not communicating with Mr Valentino and Mr Giammetti, who had founded and led the company for 45 years and were instrumental in building the brand’s core identity. Against the wishes of the founders, Permira appointed Facchinetti to the role of creative director. And, while a talented designer, she could not capture the essence of Valentino during her short and troubled tenure. Creativity is the engine that keeps the fashion industry running. When management forges ahead without regard for their creative leadership’s wants and needs — or without creative leadership, full stop — a brand’s products and desirability can often suffer dramatically. Valentino’s chief executive Stefano Sassi was able to execute on the brand’s ambitious global retail plan because of Mayhoola’s deep pockets. The Qatari investment firm committed €200 million (about $268 million) to the rollout and, in the coming years, the brand expects to open on some of the world’s most iconic retail avenues, such as Fifth Avenue in New York, Canton Road in Hong Kong and in Piazza di Spagna in Rome. But already, the investment is showing returns. The brand’s revamped Milan flagship has seen a 60 percent increase in sales. Indeed, the short-term goals of most private equity firms do not often align well with the time- and capital-intensive fashion industry. Those who have the patience to devise and execute on a long-term strategy, as Permira eventually has now done with Hugo Boss, will be much more likely to reap the rewards. Usually, private equity firms aim to exit their investments in three to five years. If recent reports are to be believed, Permira will be exiting its investment in Hugo Boss seven years after it acquired the company as part of the VFG deal.